A mere slip of a thing, the Panasonic GM1 is the first of the new Lumix premium compact GM series, based on the Micro Four Thirds system standard. Packing a 16.00-megapixel Digital Live MOS Sensor backed by Panasonic’s Venus Engine, the bijou snapper offers a high ISO range from 200 up to 25600, with a built in flip up flash for when things get too murky. Billed as the planet’s smallest mirrorless camera, the GM1 measures up at 2.2 by 3.9 by 1.2 inches (HWD) and weighs 6.1 ounces (without lens). Inside can be found the same sensor and image processor as the larger Lumix DMC-GX7, so the camera should be able to output some very decent photos. 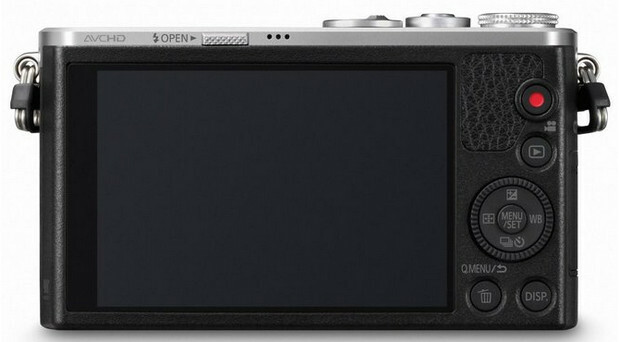 There’s a 3.0-inch, 1036K dot touch-sensitive LCD around the back, but no accessory port or EVF. Raw capture is supported, with Full HD video recording capabilities, and there’s a completely silent electronic shutter with a maximum shutter speed of 1/16000s. 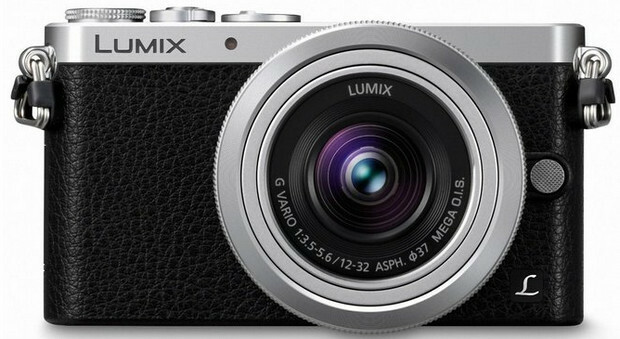 The Panasonic Lumix GM1 comes bundled with the new Lumix G VARIO12-32mm (24-64mm equivalent) f/3.5-5.6 Asph. MEG O.I.S. pancake zoom lens, which will be available from December, priced at around $750. 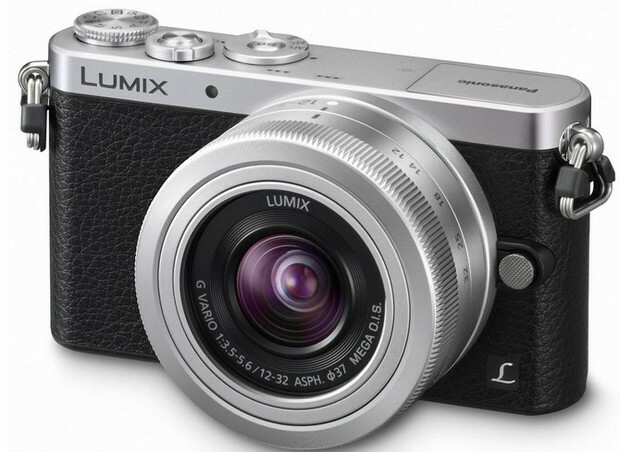 The lens will also retail separately for $350, and there’s auxiliary grip for the Panasonic GM1 available for $100. Panasonic is proud to announce a new premium compact line GM series to its LUMIX Digital Single Lens Mirrorless (DSLM) cameras with the DMC-GM1 with large Digital Live MOS Sensor based on the Micro Four Thirds system standard. The new GM series boasts not just its outstandingly compact profile but its high functional performance for ultimate picture quality. The DMC-GM1 realizes high-quality image recording with real-to-life details through excellent resolution, image rendering and color reproduction. Taking full advantage of 16.00-megapixel Digital Live MOS Sensor and Venus Engine, images are rendered with highly sharp resolution even shot in low-lit situations and at max. 25600 high ISO sensitivity can be selected. The Contrast AF System of DMC-GM1 excels in both speed and accuracy by exchanging digital signal between the camera and the lens at max. 240 fps. A variety of extensive AF functions including Low Light AF, Pinpoint AF and One-shot AF enhances usability to comply with wide-ranging shooting situations. The touch-control system integrated in the 3.0-inch large approx.1036K-dot high resolution monitor immediately lets users to set focus to the subject by just touching it on the screen and you can even release the shutter. It is free and easy to enlarge the target point with fingertips to set precise focus. The DMC-GM1 also features full HD 1920 x 1080, 60i (60 Hz) / 50i (50 Hz) high quality video recording in AVCHD and MP4* with stereo sound. The practical full-time AF and tracking AF is available in video recording, too. The cinema-like 24p video with the bit rate of max. 24 Mbps or P/A/S/M mode provide richly expressive afterimage with overwhelming image quality. The DMC-GM1 incorporates popular Creative Control mode with a total of 22 fascinating filter effects in addition to Time Lapse Shot, Stop Motion Animation or Clear Retouch. The Stop Motion Animation allows producing unique stop motion video and the Clear Retouch function enables to erase unwanted part of a picture after shooting – both operations completes with ease in camera. With the Wi-Fi® connectivity, users can connect the camera to their smartphone / tablet to expand shooting flexibility. It is also possible to use a smartphone / tablet as a multi-capable remote shutter with a monitor. With the Instant Transfer function, photos are automatically sent to the smartphone / tablet right after shooting. On the other hand, both photo and video can be archived to the registered digital equipment such as PC automatically via the wireless access point (router) at home. There are a lot of ingenious inventions that let DMC-GM1 accomplish this marvelous downsizing. The unit mechanism of shutter is redesigned to newly integrate a motor instead of spring, which allows removal of charging structure inside the unit and resulting in approx. 80%** reduction in its unit’s size. The conventional digital single lens mirrorless camera has a structure that settles a frame to support the sensor unit over the main unit frame. However, by adopting the magnesium alloy for the main unit, the DMC-GM1 allows direct attachment of the sensor unit to reduce parts. Despite its ultra compact profile, the DMC-GM1 is equipped with built-in flash (GN5.6 ISO200･m / GN4.0 ISO100･m) which is enough useful for daily snapshots. This is made possible by an adoption of newly developed sliding pantograph-type flash that vertically pops up and down. By optimizing the layout of electronic components with high density mounting, the circuit board is able to have a cutout saving approx. 30%** in space for the sensor unit to fit into. This also helps achieve total volume reduction of internal content. The DMC-GM1 comes equipped with decently designed parts including three-strand aluminum dial or high quality artificial leather grip. Especially the combination with the newly released digital interchangeable lens LUMIX G VARIO 12-32mm / F3.5-5.6 ASPH. / MEGA O.I.S. (H-FS12032) makes perfect match which even satisfies trend-sensitive users to carry around stylishly. On the other hand, the DMC-GM1 allows attachment of Hand Grip DMW-HGR1 (black / silver, sold separately***) to enhance strength of gripping. Packing high photographic performance in sleek, ultra-compact body, the DMC-GM1 is offered in stylish black, traditional silver, noble white and classical orange. There are moments in life deserves to be captured – the DMC-GM1 turns every user across genders, across generations into a life artist. * 30 fps (NTSC) / 25 fps (PAL) in MP4 recording. ** Panasonic comparison with DMC-GF5. *** Included in the DMC-GM1W kit. The DMC-GM1 incorporates 16.00-megapixel, large Digital Live MOS Sensor complying with Micro Four Thirds system standard that achieves both higher resolution and higher sensitivity image recording with less noise. The photodiode in each pixel is enlarged thanks to the adoption of cutting-edge Semiconductor Fine Technology to improve color saturation by approx. 10% and the redesigned on-chip lens enhances light condensation to achieve approx. 10%* higher sensitivity. Not only these, noise generation is minimized in both pixel circuit and digital signal readout circuit to provide better S/N ratio by approx. 25%*. The image processor Venus Engine features its advanced noise reduction systems. By extending the control level of noise, controllable area of noise is expanded by approx. 64x* in size. This makes it possible to remove large block of noise which was formally hard to detect and helps produce clear, smooth image especially for the nighttime scenery. In addition, the Multi-process NR (Noise Reduction) works in two separate steps allowing even finer control over noise level. The texture of noise itself, regardless of the noise size, is improved with this deliberate control, which is resulting in the reproduction of smooth human skin even in high sensitivity recording. Furthermore, the optimum design of newly adopted Detail Reproduction Filter Process enhances the limit resolution by max. 3%* and the contrast of middle to high range by max. 5%*. Plus, the advanced Intelligent D-range Control offers wider dynamic range while maintaining the smooth gradation thanks to the high-precision signal processing. Suppressing both blocked shadows and blown highlights, every part of an image – from dark to bright – is faithfully reproduced. The combination of the Digital Live MOS Sensor and the Venus Engine achieves approx. 10%* finer detail reproduction, making it possible to capture clear image even in low lit situations and allows max. ISO25600. The DMC-GM1 complies with image recording in RAW. The bundled software SILKYPIX Developer Studio 4.1 SE allows dramatically higher quality image development from RAW to JPEG. Even the images shot at high ISO setting can be produced sharply with minimum noise. This software also enables high quality JPEG processing, that lets users to adjust images in 16 bit data and re-develop it into JPEG with minimum deterioration of image quality. * Panasonic comparison with DMC-GX1. • SILKYPIX®; It is a registered trademark of Ichikawa Soft Laboratory Co., Ltd.
All cameras of LUMIX G, and DMC-GM1 adopt Contrast AF for its focus system. Compared with the Phase difference system AF, the Contrast AF boasts higher accuracy especially in shooting with bright lens with small F value. The DMC-GM1 features high-speed Light Speed AF, making it possible to capture even the fast-moving subject clearly. Not only the accuracy but also the speed of AF in DMC-GM1 surpasses the high-end DSLRs with Phase difference. The camera and the lens exchange the digital signal at max. 240 fps to minimize the time to focus. The DMC-GM1 realizes the high speed burst shooting at 5 fps in 16.00-megapixel and max. 40 fps using an electronic shutter. Also, AF Tracking enables consecutive shooting to capture moving subject in sharp focus at 4.0 fps*. The Low Light AF, which is popular in LUMIX G DSLM cameras, is incorporated making it possible to set focus on the subject more precisely in such as moonlight even without AF assist lamp. It further enhances the performance to work in -4EV lower lit situations, which is as dark as starry sky with no other light source. With the Pinpoint AF, users can magnify the target area to set focus by 5x by just touching it on the monitor. Magnification using dial is also available and this can be selectable from 3x to 10x enlargement by 0.1x step. Picture-in-picture display is available and the magnification ratio of in-frame picture is selectable from 3x to 6x seamlessly, which enables users to set precise focus on the target point while seeing the whole image composition. The One-shot AF enables using AF even in MF mode by just pressing the Fn (Function) button** to set rough focus on the subject and you can go back to MF just to adjust precise focus. ** AF lock function needs to be assigned in advance. All LUMIX G cameras, especially the DMC-GH3, are renowned for their capability of high quality video recording. The DMC-GM1 records smooth, high-resolution full-HD 1,920 x 1,080 60i (60 Hz) / 50i (50 Hz) videos in AVCHD or MP4 (MPEG-4 / H.264) format*. The DMC-GM1 also supports 1080/24p native mode with 24 Mbps in AVCHD format bringing impressive afterimage to the footage. In addition, the P/A/S/M mode also lets users enjoy expressive video recording. Thanks to optimum pixel-mix technology which is made possible by the improvement of sensor sensitivity, sharpness and clarity are improved in motion images, too. In addition to the practical full-time AF, the Touch AF in video recording also lets users enjoy professional-like rack focusing. The AF Tracking locks on the subject with focus even it moves. High quality sound can be recorded with Dolby® Digital. A Wind Cut function is also available to block out most of the noise from background wind. The Extra Tele Conversion function virtually extends the zoom range Max. 4.8x without deterioration of image quality in smaller resolution. The Time Lapse Shot automatically starts recording photos at time lapse sequence once the start time, interval and the number of pictures to shoot are set. The Stop Motion Animation function enables producing a stop motion (stop frame) video in camera with the pictures that are sequentially shot while moving the object by degrees. This effect makes the object appears as if it is moving by itself. The DMC-GM1 integrates Wi-Fi® connectivity (IEEE 802.11 b/g/n) to offer more flexible shooting experience and instant image sharing with easy operation. All these flexible shooting / browsing / sharing style are made possible with the DMC-GM1 and the Panasonic’s dedicated application software Panasonic Image App for iOS / Android smartphones / tablets. For beginners of Digital Single Lens Mirrorless cameras, iA (Intelligent Auto) mode supports taking beautiful pictures with a variety of shooting-assist functions including new Intelligent Handheld Nightshot and iHDR (Intelligent High Dynamic Range) in addition to AF Tracking, Intelligent D-range Control, Intelligent Scene Selector, Face Recognition and Intelligent ISO Control. The Intelligent Handheld Nightshot generates a glamorous night scenery with optimum illumination by multi-layering the images shot consecutively even without using a tripod. With the iHDR, max. 6 images consecutively shot at different exposure levels can be overlaid to produce a single composite picture without whiteout (over-exposure) or blackout (under-exposure) in difficult lighting situations. The Scene Guide* offers 23 sample pictures shot by professional photographers. Users can choose the one closer to the situation they are going to shoot and optimum parameters for shooting the scene will be automatically set. Furthermore, shooting procedure, technical advice and recommended interchangeable lens for the scene can be shown for users to learn photography. For more practical control over focusing, the DMC-GM1 incorporates Focus Peaking function that shows the peak of focus in MF and AF+MF mode. Users can see the peaking of focus while monitoring the subject in live view. It can be set to HIGH / LOW / OFF and the color can also be changed to blue, white or orange according to the color of the shooting scene during live view. Users can take advantage of this function when controlling the camera with smartphone / tablet via Wi-Fi® in both photo / video recording. The popular Creative Control mode features a total of 22 filter options – Expressive / Retro / Old Days / High Key / Low Key / Sepia / Monochrome / Dynamic Monochrome / Rough Monochrome* / Silky Monochrome* / Impressive Art / High Dynamic / Cross Process / Toy Effect / Toy Pop / Bleach Bypass / Miniature Effect** / Soft Focus* / Fantasy / Star Filter* / One Point Color / Sunshine* mode. Effect parameter of each mode is also adjustable. The Photo Style, which enables changing texture of photo, is also upgraded for DMC-GM1 with an inclusion of Monochrome Filter (Ye/Or/R/G) for more expressive monochrome photography. The 3.0-inch large, approx. 1036K-dot high resolution static-type touch monitor with approx. 100% of field of view. The front panel is directly attached to the new In Cell Touch LCD without containing air layer in between. The result is that the reflection of external light is dramatically suppressed. Together with the increased resolution by approx. 13%* and improved color reproduction by approx. 20%*, the monitor for DMC-GM1 secures higher visibility even in sunny outdoor than ever. Plus, attenuation of transmitting backlight is minimized to achieve wide angle of view and by 25%* of power saving. The compatibility with the UHS-I (Ultra High Speed I) SDXC/SDHC Memory Card allows faster data writing even in RAW recording mode. • The “AVCHD” is a high definition (HD) digital video recording / playback format jointly established by Panasonic Corporation and Sony Corporation. • SDHC Memory Cards and SDXC Memory Cards can be used only in equipment that is compatible with their respective formats. • If the computer being used does not support SDXC Memory Cards, a message prompting you to format may appear. (Doing so will cause recorded images to be erased so do not choose to format.) If the card is not recognized, please refer to the below support site. • The use of recorded or printed materials that are protected by copyright for any purpose other than personal enjoyment is prohibited, as it would infringe upon the rights of the copyright holder. 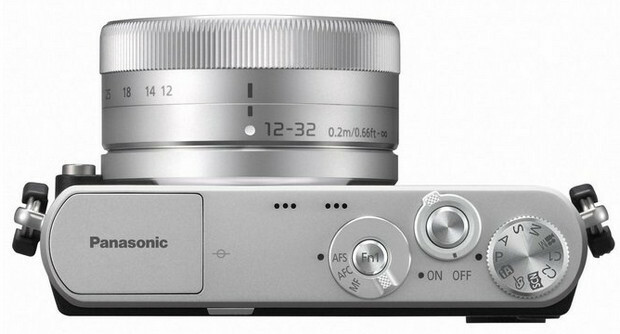 • Design and specifications are subject to change without notice.asonic LUMIX G Micro System Cameras.